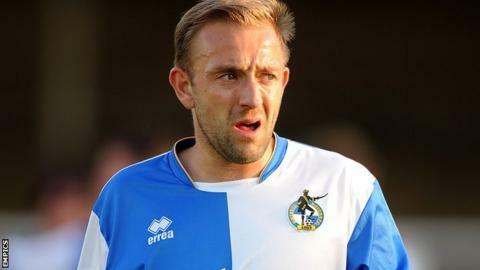 Bristol Rovers captain Matt Gill has been ruled out for at least six weeks with a knee problem. The 31-year-old midfielder has been struggling with the injury since the start of the season and will now undergo exploratory surgery. "He is going to be out for several weeks," manager Mark McGhee told the club website. "The scan was not conclusive, so they will do a little procedure to look inside and to see what is going on." McGhee continued: "It's four to six weeks at this stage, but if it is anything worse than simply needing a bit of a clean out then it could be anything up to 12 weeks. "He has been playing and training through the problem, and occasionally missing training - although not often. "He has been gritting his teeth and getting through it, and I think he has done pretty well and I have a lot of respect for that." Gill, who has made 11 appearances this term, joins an ever-growing list of injury concerns for McGhee. Goalkeeper Scott Bevan and defender Danny Woodards have yet to feature so far this season, while loanee Cian Bolger is out until Christmas and Matt Harrold will miss the rest of the campaign. McGhee is keen to bring in a replacement for Gill, but admits he is restricted by finances. "I think that we should look at bringing in a replacement. They are all young lads and I think Matt brings an experience that we need to replace," said the Scotsman. "But I don't have any fears that if we don't bring anyone in, one of the current lads wont step up. "There are options coming along that mean that perhaps we wont have to bring anyone in, but it is something we would consider and it depends how long Matt will be out. "The problem we have is finance, we cannot just keep going on spending money. We have the 55% cap and we are kind of done with money. "So we will have to look at the squad and see if there are any sacrifices we need to make in order to find that player if we think it is necessary."